Become a 2018 Roverians Member! Roverians Membership for the 2018 season is now available and can be purchased online today. The cost of a Roverians Membership remains at $75 for 2018 and as per last year, includes your first drink free at every senior home game (beer, wine or soft drink). It also includes a personalised stubby holder, free entry to Roverians events, weekly newsletter and club voting rights. 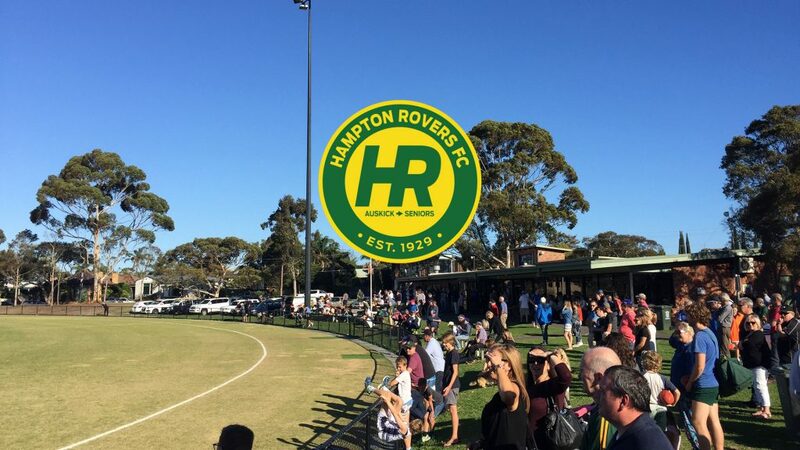 The Hampton Rovers will participate in Division One of the VAFA in 2018 under new Senior Coach Anthony Quon. The club will field five senior teams including the return of the Thirds, coached by Andrew McGregor. The seniors have a great young list, captained by Christian Carnovale and Adam McNeil. Anton Duddy continues to coach the Reserves, Paul Curry takes over the Senior Women’s team, and Lou Folino talks over the Under 19s. Click on the following link to support the club and become a member today!